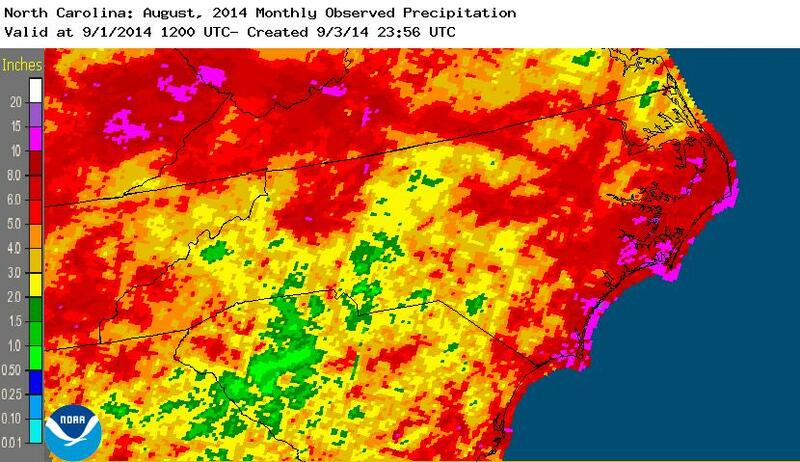 The 13th driest August since 1980 continued a trend of a much drier 2014 than 2013. 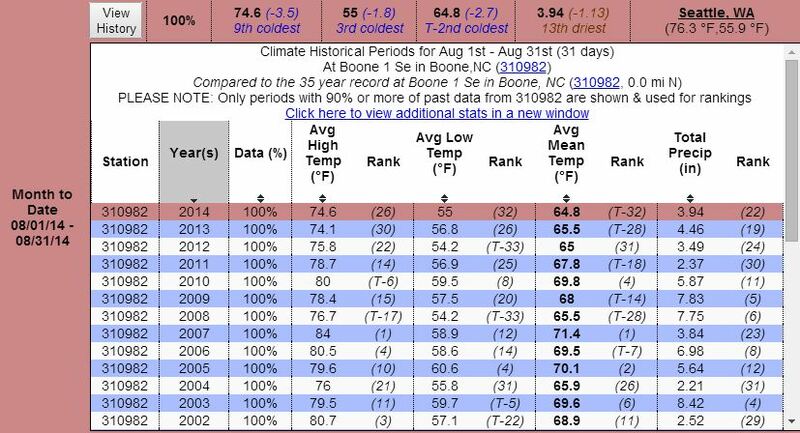 For the month officially Boone only received 3.94 inches of rain, as shown in the graphic below from the Southeast Climate Center. Graphic below shows that total observed rainfall in the state for the month. 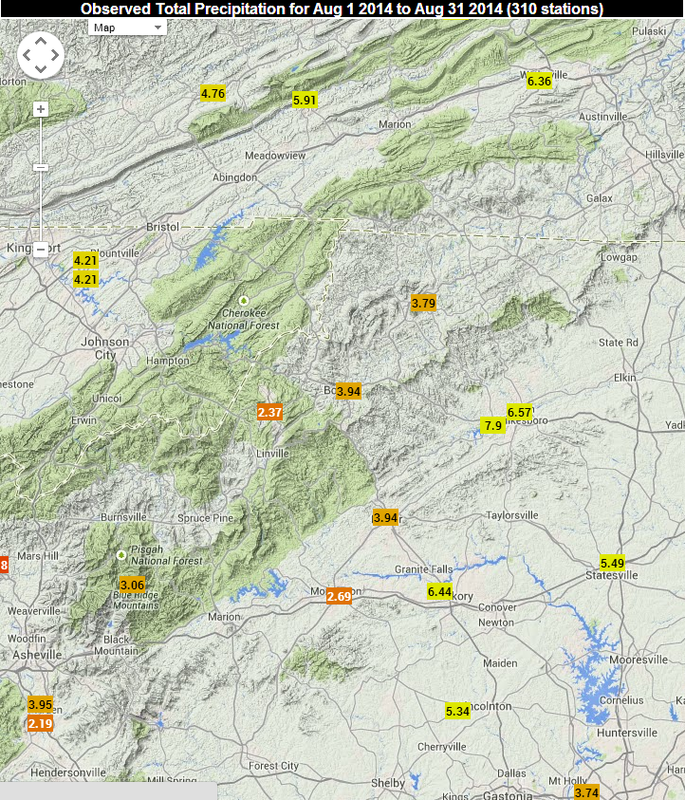 2014 continues to trail the record precipitation amounts of 2013. 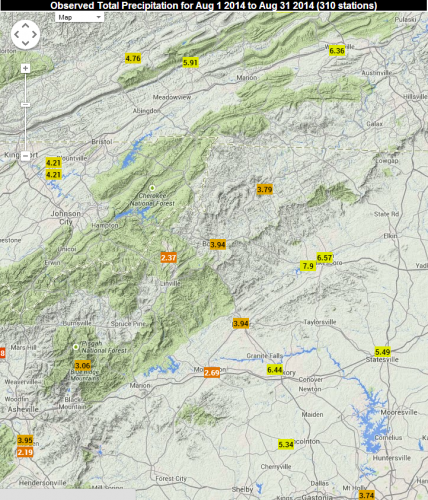 Through Aug 31 a difference of 35.14 inches between the two years during that time period. 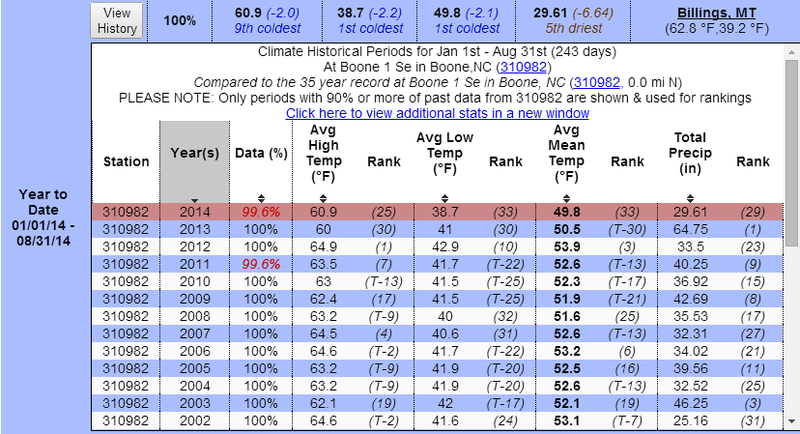 Greatest one temperature swing Wednesday Aug 27 – from 47.12 to 80.42 (difference of 32.88 degrees). Number of days with highs in the 60s – 5, 70s – 20, 80s – 6 .